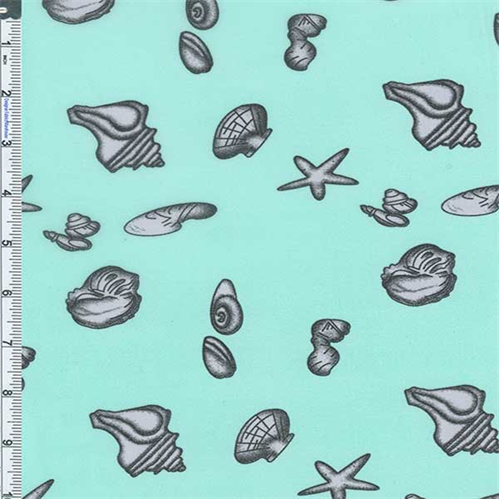 Poly Chiffon Seashell Print Fabric By the Yard, Aqua. Sheer, very lightweight printed chiffon with slinky drape and dry handfeel. Suitable for blouse or dress overlay silhouettes, use a lining or underlay garment if opacity is desired. Machine wash cold gentle or hand wash, tumble dry low or air dry for best results, do not iron.